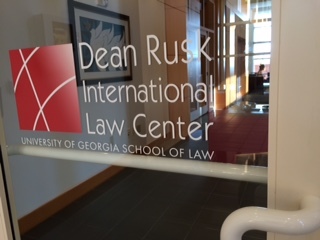 We’re looking for a great administrator here at the Dean Rusk International Law Center. To be precise, we’re looking for a Global Practice Preparation Assistant (aka Administrative Specialist II). This person will support the Global Practice Preparation portfolio at the Center working closely with the Associate Director for Global Practice Preparation and under the supervision of the Center’s Director. The successful applicant will provide administrative, organizational, and logistical support for an array of Center programs, including conferences, lectures, and events, study abroad, Global Externships, faculty exchanges, visiting scholars, professional trainings, and research projects. Experience in event planning, demonstrated organizational ability, and social media or marketing skills are desirable. The job includes the opportunity to interact with a diverse array of individuals, including students and scholars from the United States and abroad, distinguished visitors, faculty and staff, policymakers, and potential or actual donors. It also offers exposure to a wide range of international legal and policy issues. Accordingly, we particularly welcome applications from individuals with a demonstrated interest in international law, policy, and foreign affairs, and those with language skills and/or travel experience. To apply, click here. Create a login, then follow application instructions, inserting the posting number S00779P in order to reach the vacancy. We plan to fill this position asap, so if you’re interested, don’t delay! 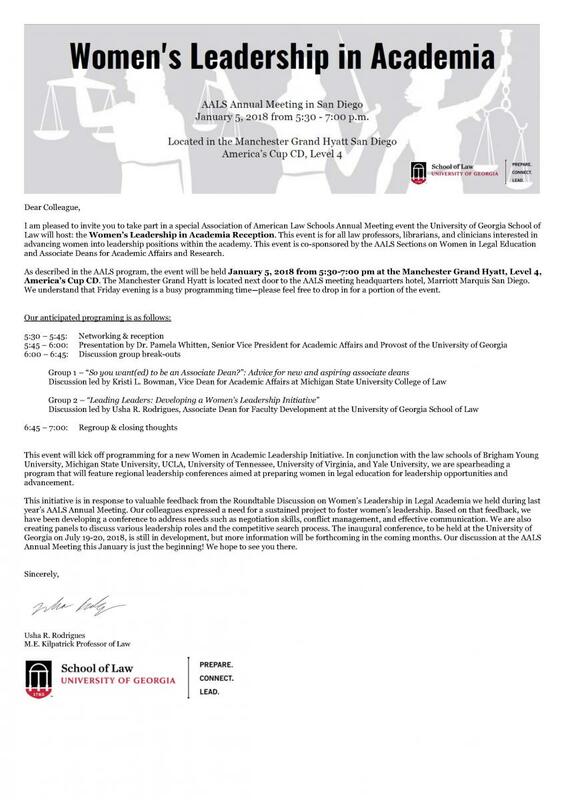 Did you miss our recent information session in Atlanta about the Master of Laws (LL.M.) degree at the University of Georgia School of Law? In case you did, there’s another opportunity to find out more! Foreign-educated attorneys are invited to join Laura Tate Kagel, Associate Director for International Professional Education, for a free webinar on the LL.M. degree on Wednesday, March 7, 2018, from 12:00-12:50 p.m. (Eastern time – U.S. and Canada). The LL.M. is a one-year, full-time degree designed for lawyers who trained in countries outside the United States and wish to study at the University of Georgia School of Law, a 159-year-old institution that is consistently ranked among the country’s top law schools. Explore the Georgia Law LL.M. degree here. Join the webinar from PC, Mac, Linux, iOS or Android at https://zoom.us/j/129159834, and use meeting ID 129 159 834. Persons who’ve completed law studies overseas are invited to learn about earning a University of Georgia School of Law Master of Laws (LL.M.) degree at a free information session this month at Georgia Law’s Atlanta campus, located in the Buckhead area. The session will be held at 7 p.m. on Tuesday, February 13, 2018, in Room 119 of the Terry Executive Education Center, Live Oak Square, 3475 Lenox Road, N.E. (click here for directions). The LL.M. is a one-year, full-time degree designed for lawyers who trained in countries outside the United States and wish to study at the University of Georgia School of Law, a 159-year-old institution that is consistently ranked among the country’s top law schools.